The Department of Recreation Services offers students a trip of a lifetime to experience a grand adventure at the Grand Canyon. Hiking down into the Grand Canyon, floating down the Colorado River and building a team with new friends. The Department of Recreation Services offers students this trip of a lifetime to push their boundaries and experience a grand adventure. A seven-day guided excursion May 14-21 will take them into the depths of the canyon and along the winding river. The deadline to register for the trip is April 25. Makayla Dearborn ’17, who went on the trip in May 2017, took up the challenge—and can vouch for the specialness of the experience and breathtaking beauty of the region. Dearborn was an adventure trip leader for the Department of Recreation Services all four years while at Syracuse University. So when she was offered the opportunity to lead the trip, “it seemed like a great conclusion to my time as a trip leader,” she says. Dearborn had been camping and intensive hiking before but never backpacking. “The biggest challenge for me was just to not be too nervous for everyone else. I wanted to make sure that everyone was safe and having a great time,” says Dearborn, who notes students need to be prepared for the at times cold nights and hot days. The scenery and the vistas make the trip especially memorable. 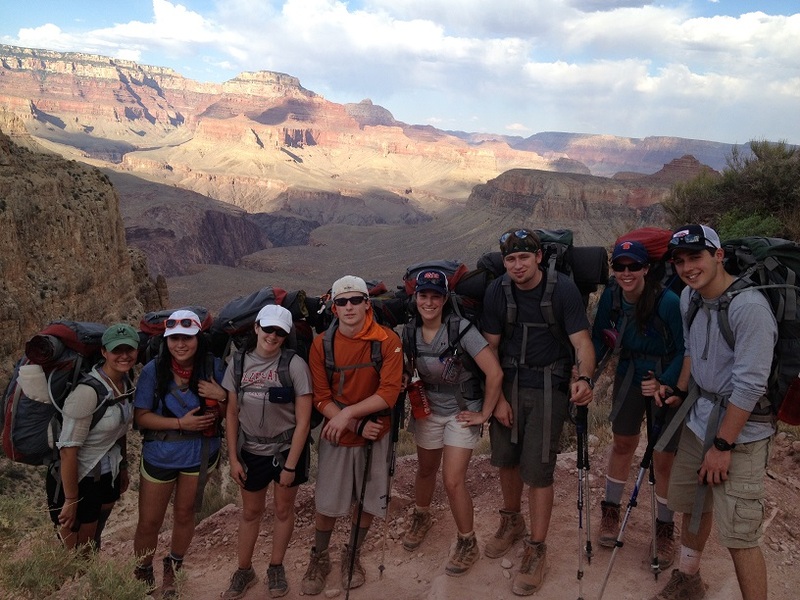 On the Recreation Services trip to the Grand Canyon, students will hike, camp and float down the Colorado River. The first day, students will arrive in Phoenix, Arizona, and will drive to Northern Arizona University, which is the partner on the trip, says Julie DeLeo, outdoor education coordinator in the Department of Recreation Services. 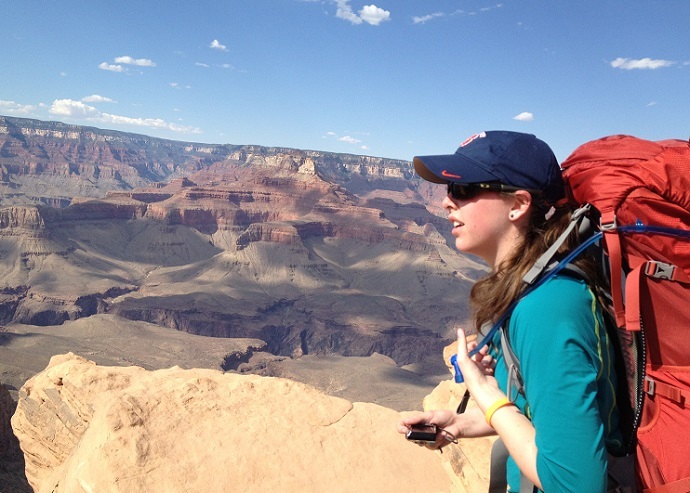 At NAU, students will gear up and receive any information they need in a trip briefing session. Students will then spend the next day hiking eight to nine miles down into the Grand Canyon, about a 4,000-foot elevation change, to camp out for the next two nights. The next day is spent on easier, more relaxed hikes into slot canyons and exploring the river. The following three days are spent floating along the Colorado River and running class III, IV and V rapids. 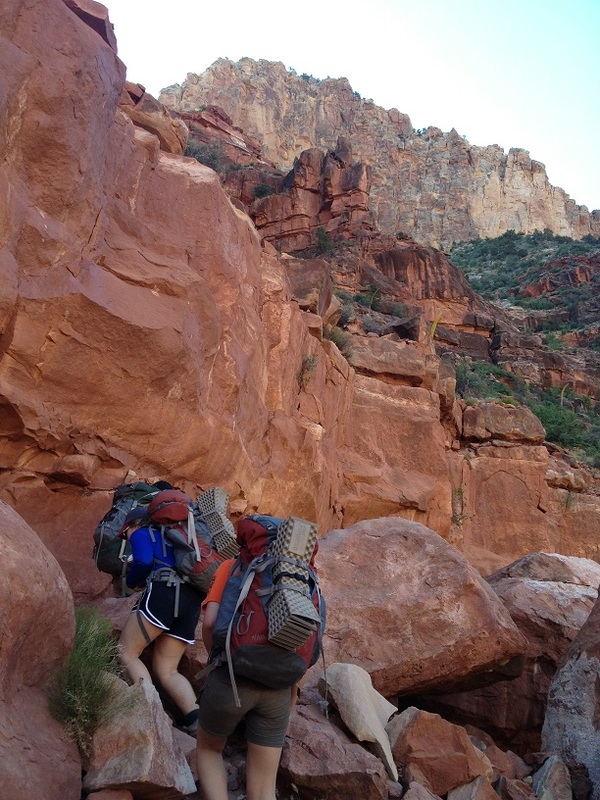 After exploring the canyon by river, students return to NAU to clean up, repack and head home the next day, DeLeo says. Another rewarding part of the Grand Canyon trip is building a team that works with each other. Another rewarding part of the trip is building a team that works with each other. For Dearborn, the trip helped build her up for further adventures.